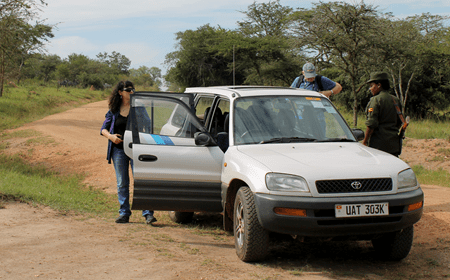 Self drive tours are an increasingly popular means of travelling around Uganda. self drive holidays offer independence and flexible travel with the assurance that your accommodation, route and facilities have been tried and tested. As an alternative to scheduled tours, self drive tours liberate you from rigid itineraries, allowing you to experience the natural splendor of Uganda the pearl of Africa at your own pace from the comfort of auto rental Uganda self-drive rental car. Auto rental Uganda has a Rav 4 that has a 60litres fuel Tank that can take you about 650 -700kms depending on the terrain and nature of driving. 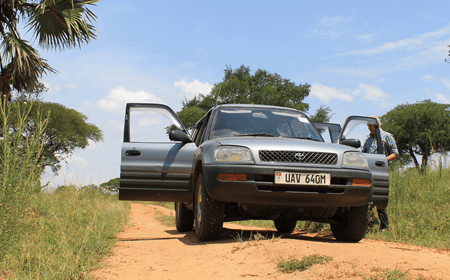 Its suitable for self drive uganda safaris and has a full time 4WD capability renders it the power to maneuver through the dusty, muddy and sometimes steep slopes around the countryside. The Rav 4 is a compact suv with enough luggage space with remarkably great power in comparison to other suvs. Our Team has used it for the past 5years and we do not have any major complain that could divert us from using the Rav4. Our Rav4 in our Rental Fleet as part of the self drive Uganda car rental services come with a comprehensive insurance, Bradt guide book, Uganda road map, unlimited mileage, first aid kitbox, 24-7 roadside assistance and great insider travel tips.